Our MasterCard Debit Cards have you covered when you are on the go and purchasing all the things you need. Use your OMEGA FCU Debit Card to pay for goods and services wherever the MasterCard logo is displayed. 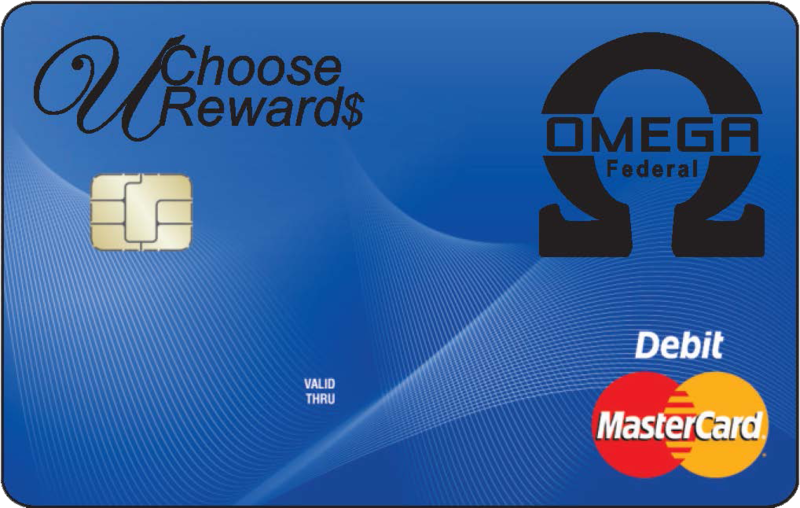 The OMEGA Debit Card is accepted at stores, online, and over the phone. You can also access your money surcharge-free at PNC Bank or CU$ ATMs. At ATMs, you can use your Debit Card to make deposits, withdrawals, transfers and check balances. Easy to use – more readily accepted than checks (especially out of state or in another country). Great for travel – No need to carry large amounts of cash. No monthly Point-of-Sale transaction fees. Complete transaction record with your combined monthly statement. Option to select your own ATM PIN (Personal Identification Number). We love giving our members the power to choose so we let you choose between a Regular Debit Card or our UChoose Rewards Debit Card. Click Here for details about UChoose Rewards. Just be sure to use a surcharge free ATM to avoid those pesky fees. We have partnered with PNC locally so that our members can use their ATMs for no charge. To find a PNC ATM near you Click Here. We also offer surcharge usage at all CU$ ATMs and they can be found Here. CardValet – Your Card, On Your Terms. CardValet is a Mobile App helps prevent fraud and lets you control debit card usage and spending on the go! To start using our Debit Card Valet Mobile App, Download “Card Valet” in the app store of your Apple iOS or Google Android device. Watch the video below for more details. For questions about the Debit Card Valet Mobile App, please call 412-369-3800 x 246. 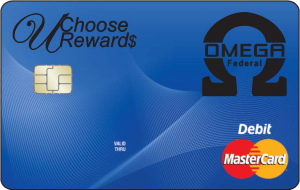 OMEGA now offers cards with the new EMV chip technology. The embedded computer chip provides more security and wider international acceptance. A microchip embedded in the card adds a new layer of protection against fraud for purchases made at the point of sale. Information programmed into the chip is personalized for your account and each transaction generates a unique code, adding an extra safeguard against unauthorized use and counterfeiting.